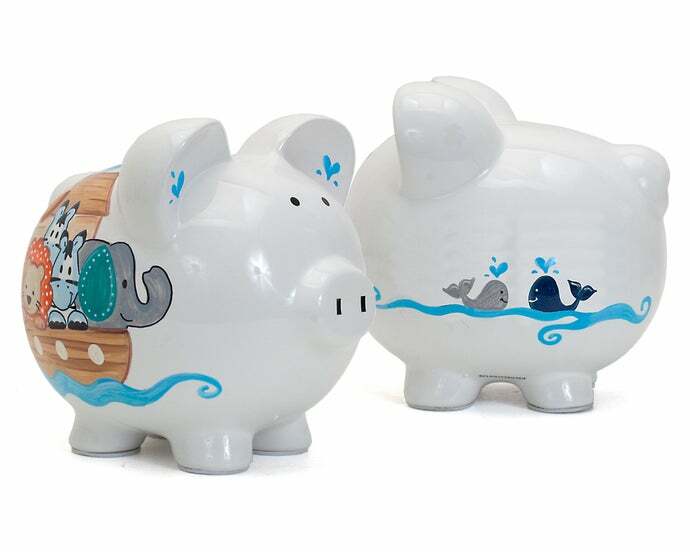 Make a child's savings fun and creative with our Personalized Noah's Ark Piggy Bank. This beautiful design is perfect for any little animal lover, nursery, baby shower, birthday and every occasion in between! Noah's Ark Piggy Bank . This item is pre-painted with the design glazed into the piggy bank. Changes within the design cannot be made. If the artist is requested to change the design the style will differ. Measures 7' Round 8' long.